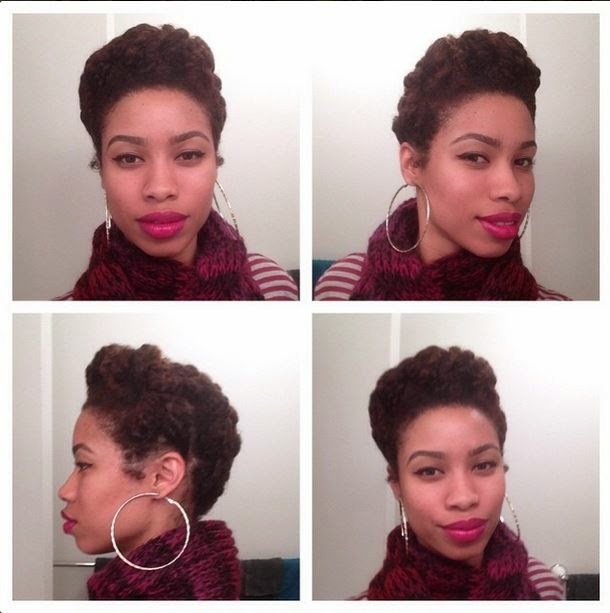 Vivian McCollum is Naturally Glam! Hi! My name is Vivian McCollum. I was born in NY, but I’ve moved a lot due to my parents various travel habits. Right now I reside in Philadelphia. My hair journey has been a roller coaster ride due to self-esteem issues that came with learning to love my hair in its natural state and understanding that my fro is okay and nothing to be ashamed of. 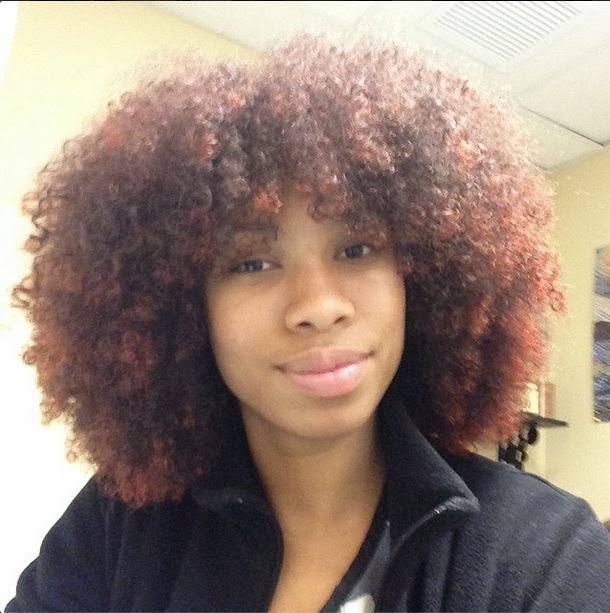 I’ve been natural for 4 years, and I have not always embraced my curls. I had a perm from age 13 to 22. I just wanted to have straight hair and look like everyone else. I was motivated to transition when I noticed just how damaged and thin my hair had become. I decided to big chop. First it was because I wanted to see how I would look with really short hair, and of course about a month later I wanted all my hair back so I decided I’d let it. 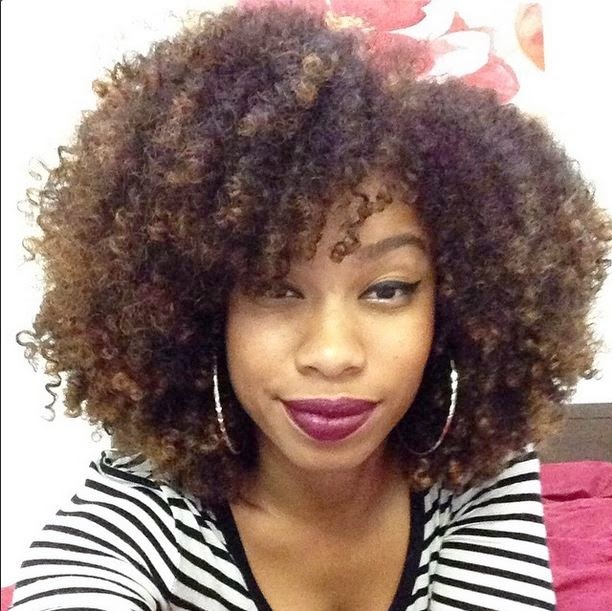 My boyfriend was the individual who encouraged me to stick with my natural journey. He is my biggest hair supporter. It also helped that I’ve always had the mindset that it’s only hair and it will grow back if you take care of it. I would describe my hair as a huge curly puff, even with using the shingle method and a lot of conditioner my hair still ends up as an afro with tight curls at the ends, which is fine with me. As the days per wash week go by my hair gets bigger and better. In my opinion it always looks best the day I have to wash it which makes me a little sad for a moment. The most memorable part of my journey has been the overall support I’ve received as my hair grew. Sometimes a compliment from other individuals helps me when I began to question my journey. So, overall it has been an enjoyable journey due to the support I received to embrace my natural hair. 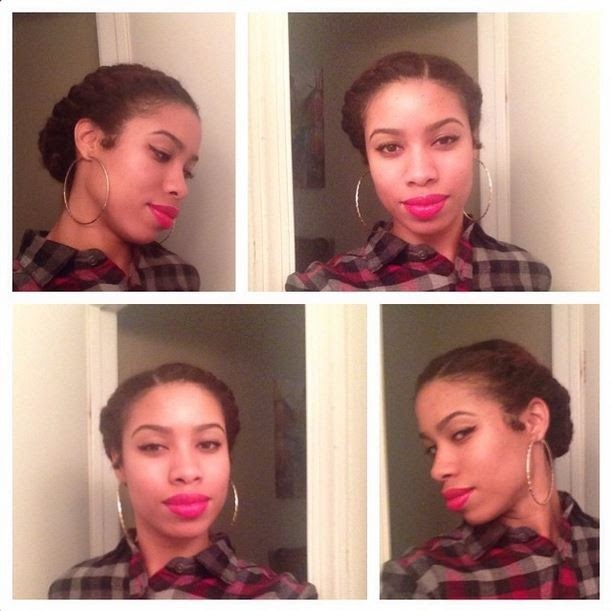 My favorite transitioning hair styles were and still are three strand twists and individual braids. I tried box braids, but they were too tight and I lost hair along my nape and around my edges so I will never do that again. The twists and individual braids allowed me to experiment with updo ideas (like crowns) while allowing my twist/braids to remain looking neat. 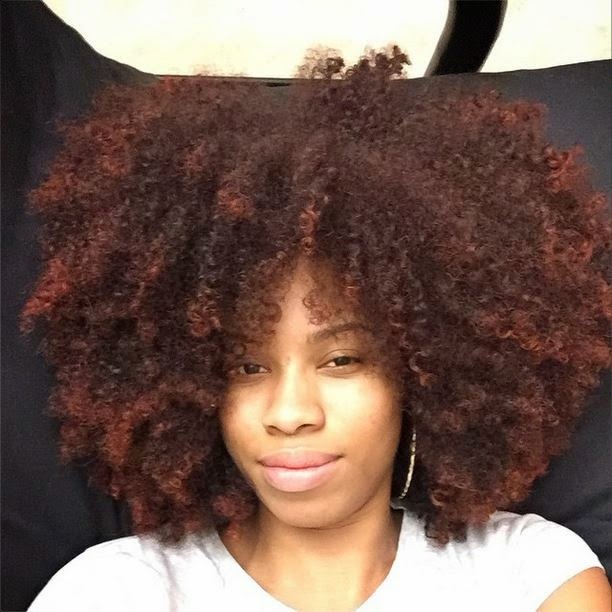 My experiences as a natural have been really positive. I’ve always had a lot of hair, but it was consistently straightened, so when I decided to start over they gave me the thumbs up and some of them even began the natural journey themselves. My hair regimen depends on how I am feeling that particular week. I have a very sensitive/dry scalp so I HAVE to wash my hair every week. No amount of oil mixtures or cowashing has been able to change that and I’ve got a cabinet full of different oils. I wash with various Shea Moisture shampoos. Right now I switch between the Tahitian Noni and Monoi smooth and repair conditioning shampoo and the Coconut and Hibiscus curl and shine shampoo. I condition and detangle with Infusium 23 moisture replenisher conditioner for 20-30 minutes. While soaking wet I use the DevaCare One condition to shingle method my hair, add avocado oil or jojoba oil to my scalp and ends, and defuse for 30-40 mins. If I decided to twist my hair I follow the same steps with the use of the three products only I don’t use shingle method or defuse. To maintain my curls I use he pineapple method and I also sleep on a satin pillowcase. 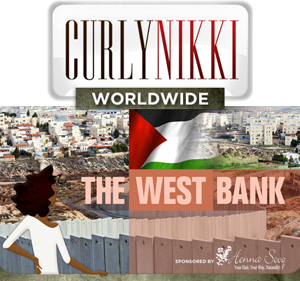 I absolutely love curlynikki.com. I can get so many tips and advice from that site alone. While on my journey I have to constantly remind myself that everyone’s hair type is not the same so everyone’s curl pattern will not be the same. So don’t feel discouraged if you hair doesn’t look like the next person’s hair. 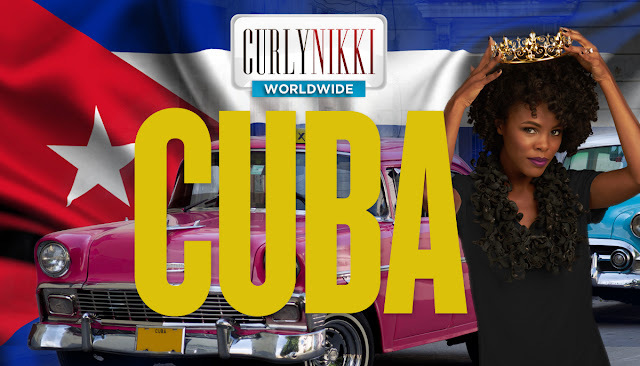 It helps me when I come across other naturalistas who I feel have better looking curls. I have two tips for those going natural: First, experiment with products until you find the one(s) that work for you, then stick to a regimen. Second only cut your hair when you need to. 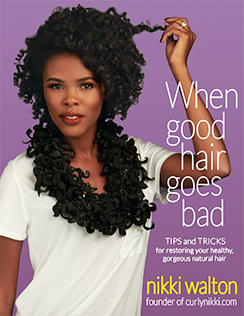 This can mean clipping your ends every 3, 4, 5, or 6 months depending on the health of your hair. Right now, I clip every 5-6 months unless I want the shape of my hair altered simply because my hair is healthy and doesn’t split very often. Remember that you hair only grows half an inch to an inch a month so clipping your ends every 6-8 weeks can cause you to not really see any length/growth changes especially if the beautician cuts up to an inch or more every time you need your hair clipped.